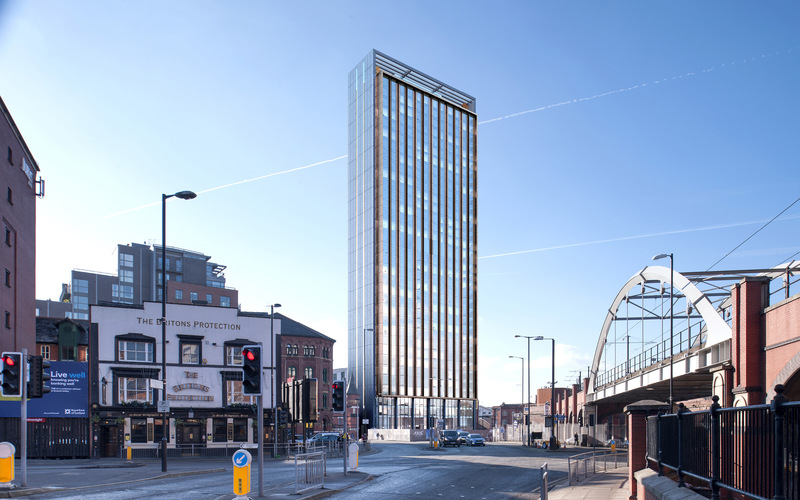 This large, residential tower scheme had been granted planning consent in 2007 but, due to changes in the economic climate, was never built. 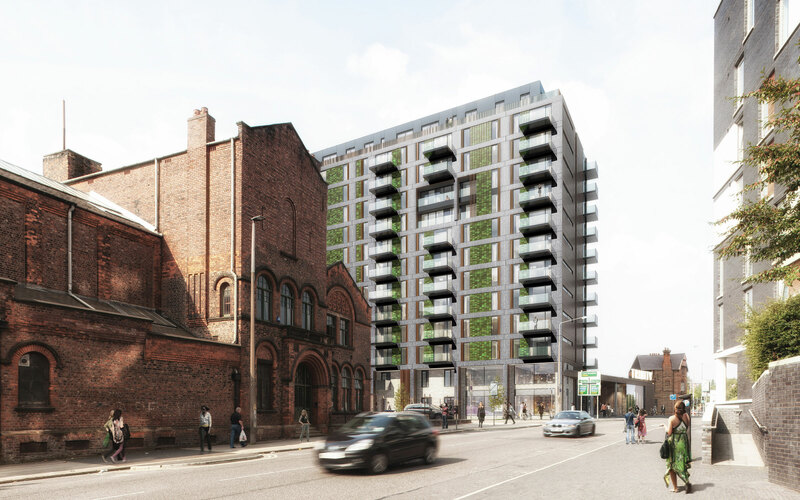 Appointed by Property Alliance Group in late 2014 work has begun to redevelop this site on Store Street, Manchester. Taking on board the concerns raised during the planning for the previously consented scheme, our brief was to design a residential scheme that meets current market expectations whilst providing a positive and high quality solution for the site. 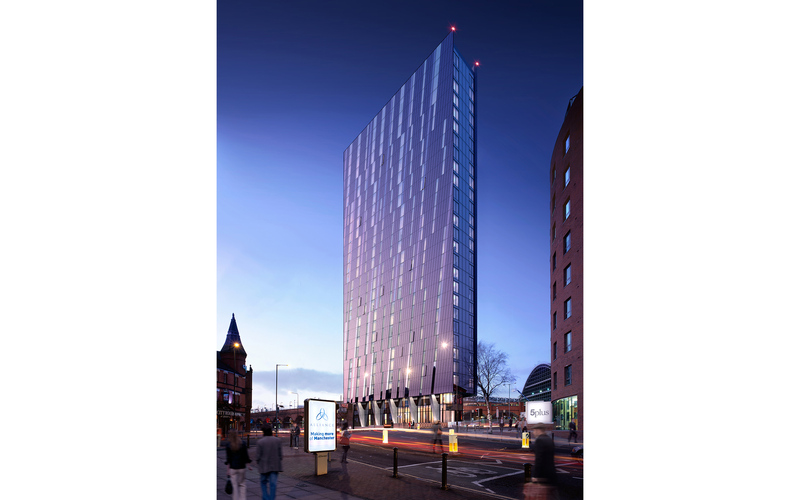 Located within a highly accessible location in close proximity to Manchester Piccadilly Station, the Northern Quarter and the main commercial core of the city centre, Oxygen presents a significant opportunity to help address housing demand on the city fringe. Our design response proposes a vertical village of 360 new homes accommodated within a series of three blocks; rising from nine to 31 storeys and surrounded by two and three storey townhouses. The apartments maximise light and city views, with many benefitting from a dual aspect. The floorplans adopt a democratic layout with each bedroom the same size and including an en suite bathroom. These lead to a shared living/dining/kitchen space which is centrally located with bedrooms and bathrooms either side. At street level we have incorporated a row of 12 family town houses together with public amenity spaces to create a variety of retail spaces and activate this key link between New Islington and the city centre. Leisure facilities including a pool and a gym are accommodated within the podium entrance. Party rooms to hire for events, a 24-hour concierge, generous storage space and secure car parking are also accommodated. Amenity space for residents includes landscaping around the building whilst the roof tops provide sky gardens. A community terrace will provide usable green space for residents; it includes a herb garden, BBQ facilities, play lawn, raised lawn and sheltered seating with pergola structure as well as spill out space for the pavilion. The local context is a mixture of materials and styles from Victorian to contemporary and from bricks to metal cladding systems. The materials for Oxygen have taken cues from the immediate context of the warm grey tones with a robust and long lasting quality pallet.